Diamond Details: Round cut white diamonds of G-H color, SI1 clarity, of excellent cut and brilliance, weighing .09 carat total. 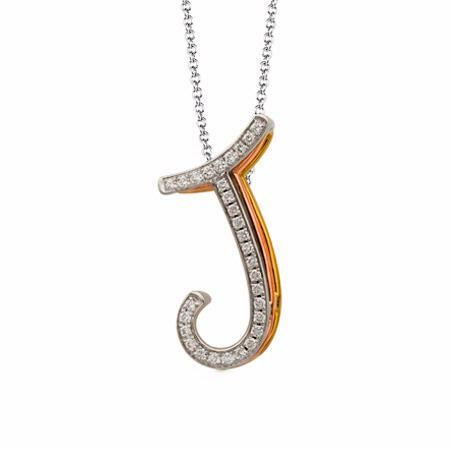 Pendant Details: Simon G 18k white, yellow and rose gold. Measures 15.6mm in length. From A-Z most are available. Please specify your desired initial. This lovely Simon G 18k white, yellow and rose gold pendant necklace, contains round cut white diamond of G-H color, SI clarity, weighing .09 carat total.